Starting any business can be expensive and time consuming. 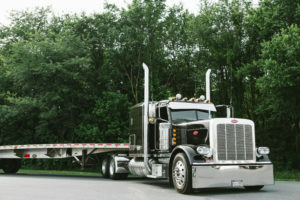 Below we outline the basic items needed to start a trucking company. If it looks overwhelming, don’t worry- we can help! Our specialists take the time to learn about your operation and will let you know what you will need to be completely DOT compliant. Our competitors over-sell you on unneeded items and services. An Employer Identification Number (EIN), also known as the Federal Employer Identification Number (FEIN) or the Federal Tax Identification Number, is a unique nine-digit number assigned by the Internal Revenue Service (IRS) to business entities operating in the United States for the purposes of identification. The IRS uses this number to identify taxpayers that required to file various business tax returns. Compliance Navigations Specialists can obtain your EIN on your behalf. Click here to start the process. A limited liability company is the United States-specific form of a private limited company. It is a business structure that combines the pass-through taxation of a partnership or sole proprietorship with the limited liability of a corporation. Compliance Navigation Specialists will prepare and file your application for the LLC with your home state. We will see the process through. Want to start a partnership or S-Corp? Click here to learn more. Obtaining a USDOT Number can be confusing and costly if you are unsure about the process. Compliance Navigation Specialists can obtain your USDOT Number quickly and accurately. Not sure if you need a DOT number? Click here to learn more. CNS can obtain the MC number while applying for the DOT number. Click here to learn more. A BOC-3 is a United States federal filing that designates legal agents upon which process may be served. It pertains mostly to individuals or companies in the transportation and logistics industry, and it is often required before certain federal operating authorities can be granted within the United States.CNS can file the BOC-3 filing on your behalf. Unlike most of our competitors we do not have a annual fee. Click here to learn more. Now that you have obtained your DOT number and/or operating authority you will need to obtain insurance. If you have applied for an MC number then you will need to post your liability insurance with FMCSA. We partner with one of the premiere truck/passenger insurance agencies that can obtain the best coverage at affordable cost. Click here to learn more. 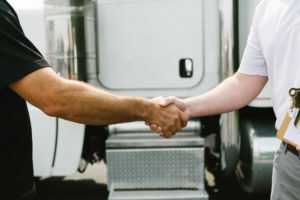 The Unified Carrier Registration (UCR) Program requires individuals and companies that operate commercial motor vehicles in interstate or international commerce to register their business with a participating state and pay an annual fee based on the size of their fleet. This includes ALL carriers – private, exempt, or for hire. Brokers, freight forwarders and leasing companies are also required to register and pay a fee unless they also operate as a motor carrier. CNS can complete your UCR filing after obtaining you interstate DOT number. Click here to learn more. The International Fuel Tax Agreement (or IFTA) is an agreement between the lower 48 states of the United States and the Canadian provinces, to simplify the reporting of fuel use by motor carriers that operate in more than one jurisdiction. Alaska, Hawaii, and the Canadian territories do not participate. An operating carrier with IFTA receives an IFTA license and two decals for each qualifying vehicle it operates. The carrier files a quarterly fuel tax report. This report is used to determine the net tax or refund due and to redistribute taxes from collecting states to states that it is due. CNS can complete and process the application and submitted them into the state on your behalf. Click here to learn more. The International Registration Plan, known as IRP, is a registration reciprocity agreement among states, of the United States and provinces of Canada, providing for payment of license fees on the basis of total distance operated in all jurisdictions. The unique feature of this Plan is that, even though license fees are paid to the various jurisdictions in which fleet vehicles are operated, only one license plate and one cab card is issued for each fleet vehicle when registered under the Plan. CNS can complete and process the applications and submitted them into the state on your behalf. Click here to learn more. The following states are considered HUT States that require an additional sticker or number. If you drive in New York, Kentucky, New Mexico or Oregon you may need to apply for further credentials beyond IRP. CNS can help obtain them on your behalf. Click here to learn more. Truckers with a vehicle that has a taxable gross weight of 55,000 pounds or more, are required to electronically file HVUT Form 2290. Once filed, you need to get a stamped copy of your Schedule 1. You must file all taxable highway motor vehicles that are required to be registered in your name; under State, District of Columbia, Canadian, or Mexican law, during the tax period of when the truck is first operated. CNS can file your schedule 1 with the IRS and provide you with a stamped E-File copy. Click here to learn more. Now that you have you DOT and Operating authority up and running, you will need to get compliant with the FMCSA. Below are a few items that will help get you into compliance. These items will have to be maintained throughout the year. We have reliable, hands on, cost effective packages that will keep your licensing and compliance up-to-date. Click here to see why more and more companies in North America utilize our specialists as their safety department. Whether you need a physical or electronic driver file (or perhaps help completing the file itself), pulling an MVR report, previous employer inquiries, PSP reports and much more; CNS has the solution for you. Our Driver Qualification Files (DQF) are always up to date with the latest regulations and always ready to help you pass an audit. We truly believe our DQF Management Service is better than our competition. We do not just rely on a computer program to inform you if a driver is in or out of compliance. All of our driver files are monitored by actual DQF specialists to ensure expiring documents are well communicated and not overlooked by a computer program. Click here to learn more. If you have a Commercial Drivers License then you would need a pre employment drug test plus be enrolled in a DOT drug and alcohol consortium.CNS has a low cost and DOT compliant service for you. Our low cost program covers your DOT random testing throughout the whole year. You will be provided with a secure portal to keep track of all your test results and have personal representative to call when you have questions. Click here to learn more.